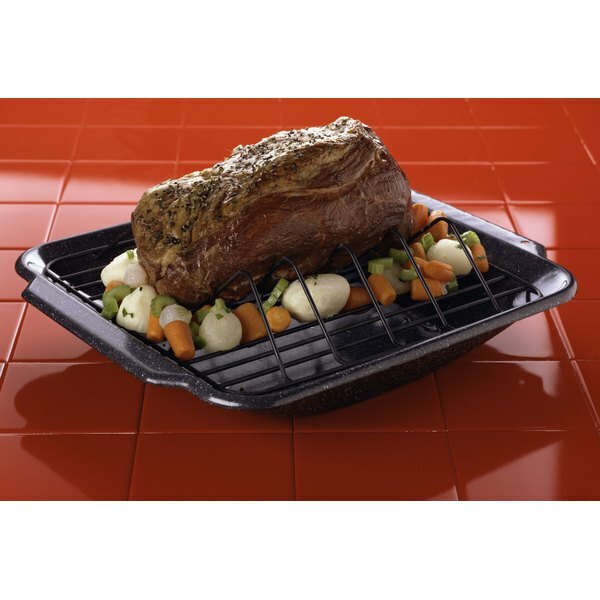 A chuck roast, which comes from the neck or shoulder area of the beef, is an economical cut of meat. Although a chuck roast is moist and flavorful, slow cooking in liquid is best, as the meat may be tough and sinewy. Add assorted vegetables during the last half-hour of cooking time, and you have a hearty and nutritious meal in one pan. Serve the roast with rolls or crusty bread. Place 1 finely minced garlic clove in a small mixing bowl. Stir in salt and pepper. Rub the mixture into the roast. Heat canola oil in a large, oven-proof pan or Dutch oven. Place the roast in the pan and cook until the meat browns evenly on all sides. Add beef broth and chopped onion to the pan. Turn up the heat and bring the liquid to a boil, then reduce the heat to a simmer. Cover the pot. 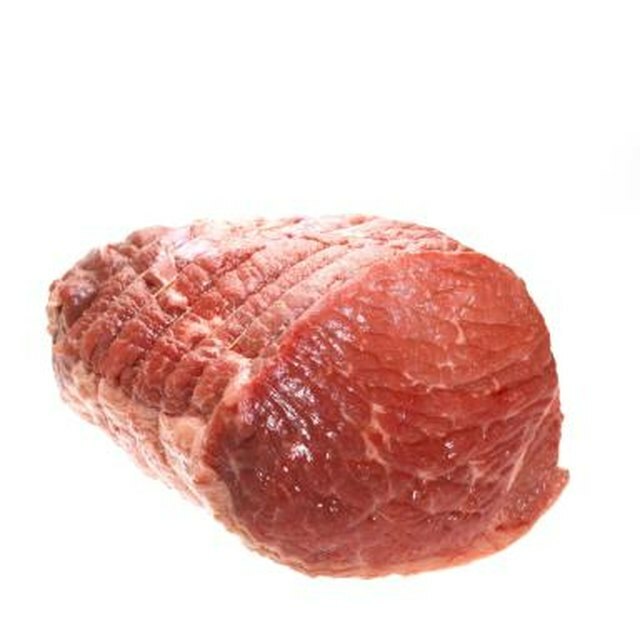 Allow the roast to simmer for two to three hours, or until a meat thermometer registers at least 145 degrees Fahrenheit when pushed into the thickest part of the meat. Cut potatoes and carrots into uniform chunks. Add the potatoes, carrots, and sliced celery to the pan. During the summer months, you can add fresh turnips or summer squash such as zucchini or yellow crookneck. Cook the roast for an additional 30 minutes, or until the vegetables are tender. Remove the roast from the oven, then allow the meat to sit for about 10 minutes before serving.